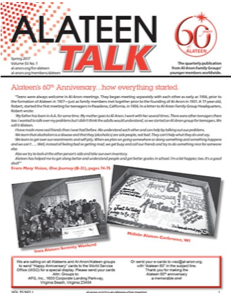 Alateen, a part of Al-Anon Family Groups, is a peer support group for teens whose lives have been affected by someone else's problem drinking. share experiences, strength, and hope with each other to find effective ways to cope with struggles in their lives. discuss difficulties and encourage one another. help each other understand the principles of the Al-Anon program through the use of the Twelve Steps and Alateen’s Twelve Traditions. they are not the cause of anyone else's drinking or behaviour. they have spiritual and intellectual resources with which to develop their own potential, no matter what happens at home. Every Alateen group needs two active, adult members of Al-Anon, accredited by their local Area as Al-Anon Members Involved in Alateen Service (AMIAS) to serve as sponsors. The sponsors are an active part of the group, guiding and sharing knowledge of the Twelve Steps and Traditions. Just as Al-Anon members sponsor each other, Alateens sponsor each other. Alateen personal sponsors are fellow teenagers and peers who can discuss personal problems or questions with those individual Alateen members they sponsor. This sponsorship takes place outside of the Al-Anon/Alateen meetings. Therefore any form of supervision for the sponsors when working one on one with their peers is a family responsibility because it is outside of Al-Anon’s realm of influence. A place just for teens affected by someone else’s alcoholism, can be safely accessed online here: https://al-anon.org/newcomers/teen-corner-alateen/. At this site there are podcasts and videos as well as other interesting information specifically for teenagers, all produced by the Al-Anon World Service Office. 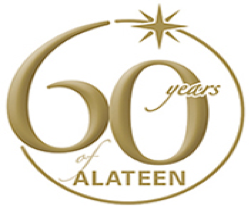 Alateen members are encouraged to read Alateen Conference Approved Literature and materials. Written from members' personal sharings, these recovery tools can help young people deal with their problems.